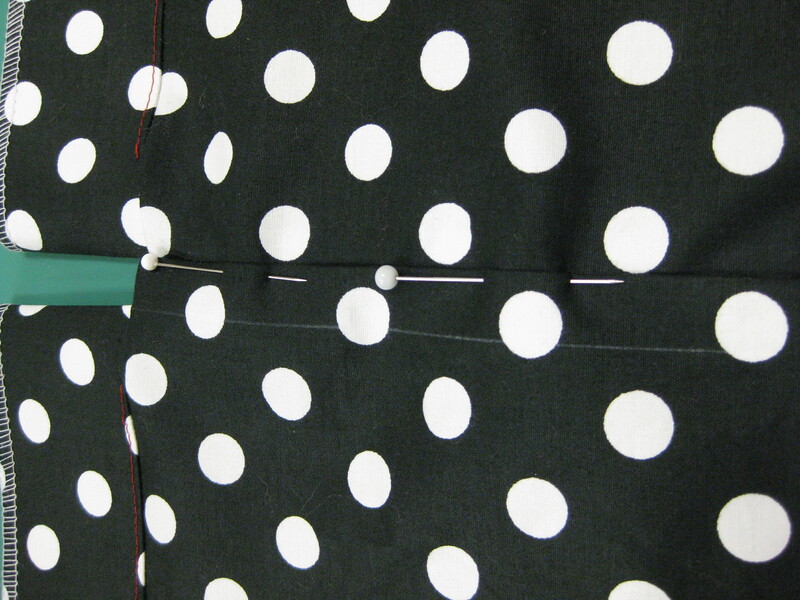 Invisible zippers first appeared on the home sewing scene in the late 1960”s/early 1970’s when the shift dress was popular. The zipper tapes were cotton and the teeth larger. The whole zipper was much heavier than today’s lightweight polyester zips. In order to insert the zipper, it was necessary to purchase a universal plastic foot with various ankles to suit different brand machines. They were later on very hard to find and it was not until they were extensively used in ready to wear garments that they reappeared in their lighter form. All machine brands now have an invisible foot available for individual machine models and these are much more suited to the lighter weight zips. The original generic foot which has not changed can be problematic with today’s zips. How does an invisible zipper work? The pull slides up and down the tapes with the teeth invisible from the right side with all the action taking place on the underside. 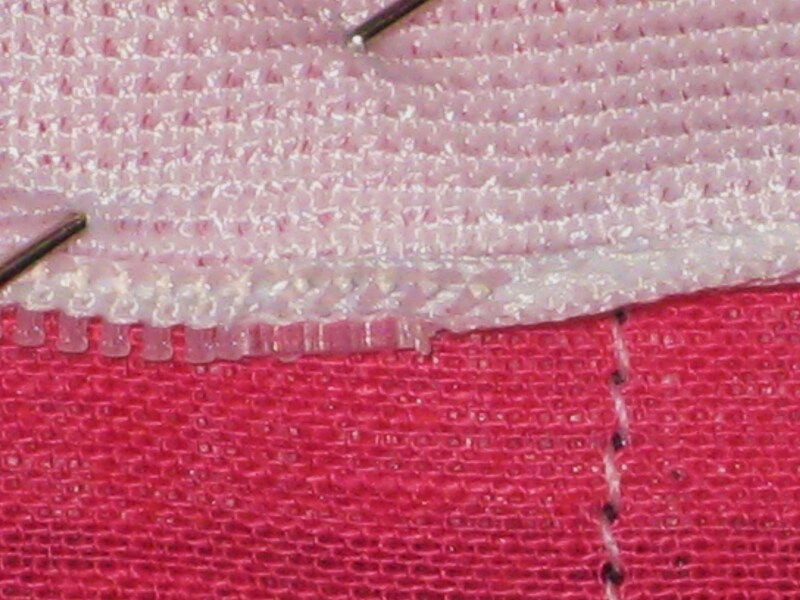 When the tapes are sewn to fabric, the teeth roll the fabric so that both fabric folds meet to hide the opening – hence “an invisible zipper”. In my experience, most tutorials, articles and videos offering instruction on invisible zippers, recommend that the teeth be pressed back with an iron to make installation easier. If this is done and the teeth cool in the rolled back position, the zipper will no longer be invisible once it is installed. When the old style zippers and generic zipper foot were used, this step had some value. Today’s zipper feet and lighter weight, smaller teeth make pressing the teeth back quite unnecessary – and avoids the possibility of melting the teeth with the iron! 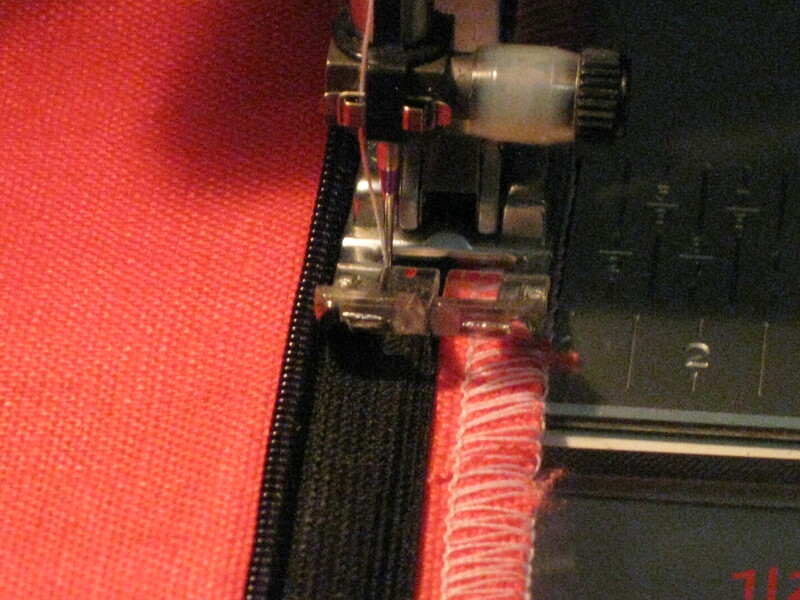 An invisible zipper is set into an open seam which has been stabilised and to which the chosen seam finish has been applied (refer to blog posts Inserting Zippers Part 1 and Part 2). 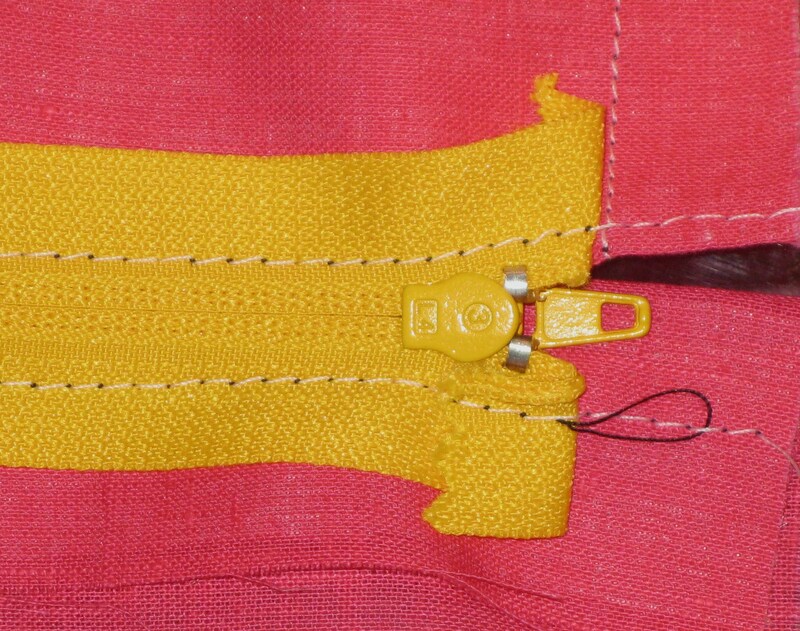 Where the zipper opening crosses a seam, clip the seam allowance at the seam line and press it open to eliminate bulk when the zipper is closed. 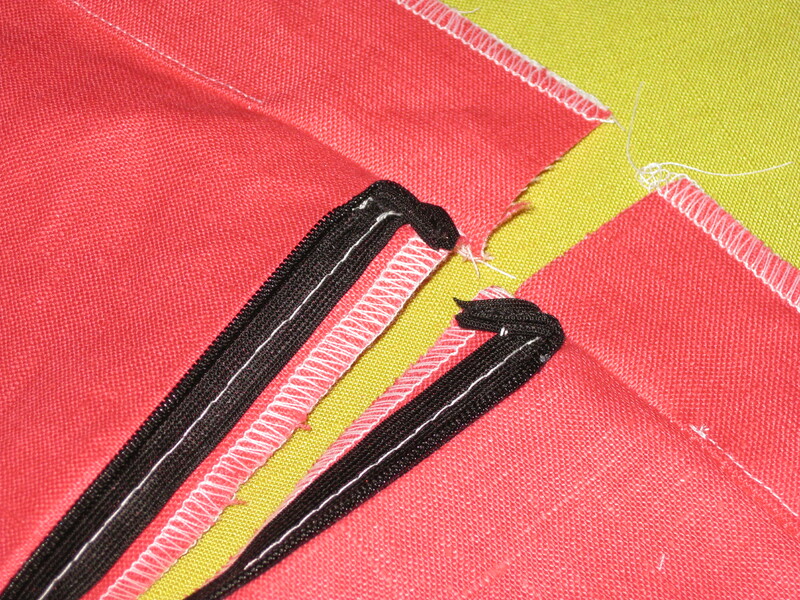 Thread mark the seam line above the zipper (refer to blog posts Inserting Zippers Part 1 and Part 2). To avoid a sharp fold where the fabric edges meet, I finger press the seam allowances in place which results in a more attractive soft roll over the zipper. Staystitch to mark seam line and finger press along seam line. 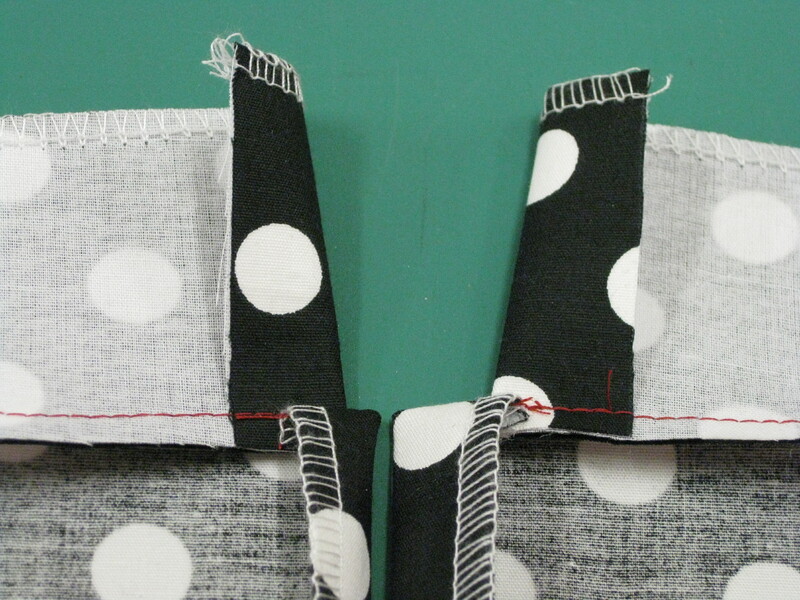 Shorten the zipper as necessary by hand or machine to the desired length and, in need, cover the cut end (refer to blog posts Inserting Zippers Part 1 and Part 2). Position the two garment pieces right side up on a flat surface. Place the zipper and between the garment pieces so you can see how it will fit together. Place on a flat surface with right sides facing up and zipper in between. This makes it easier to determine where to sew. Open the zipper and, with the edge of the zipper teeth level with the seam line, match the plastic stopper at the top of the zipper with the keyed seam line. Move the stopper 3/8” / 7mm down to allow for a hook and eye and pin in place. White mark indicates top of the plastic zipper stop. 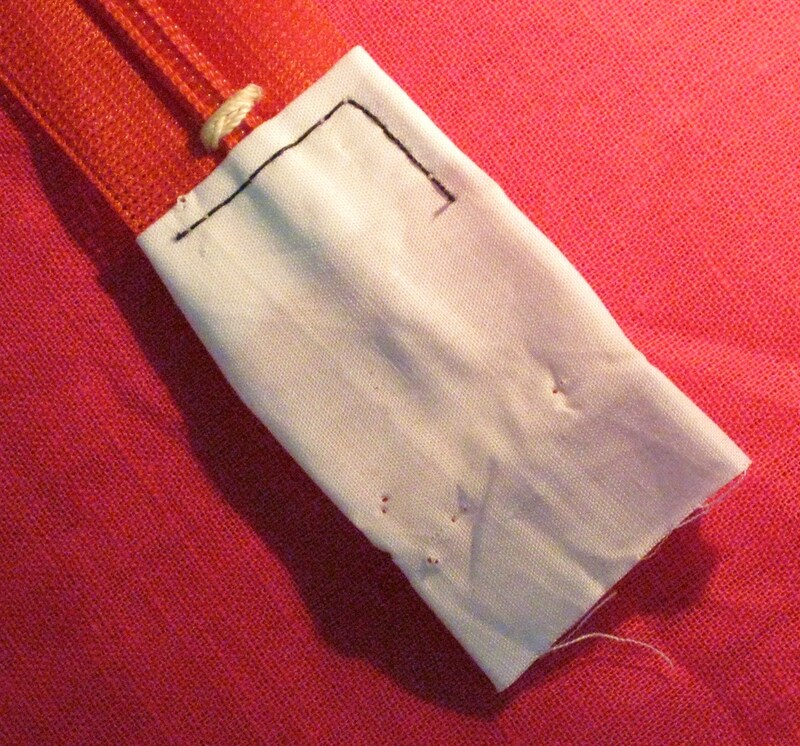 Teeth rest along the seam line with tape in the seam allowance. Position the regular machine foot at the top of the zipper and sew a basting line (stitch length 4.0) starting level with the top of the plastic stopper and finishing 2”/5cm from the bottom of the zipper to hold zipper in place. Position sewing foot against the teeth and machine baste in place. If there is a seam to be crossed by the zipper, close the zipper and allow it to sit flat against the right side of the garment. Mark the zipper tape on both sides to indicate the placement of the seam – this is also very useful when trying to match stripes, checks, etc. Mark unsewn zipper tape where the seam line sits. Reposition garment pieces right side up on a flat surface and position the remaining zipper tape with the edge of the zipper teeth level with the seam line (matching the first side). Line up the mark on the tape with the seam line and pin in place. Take care to check and make sure zipper tape has not twisted and pin the bottom of the zipper in place – and sew a basting line to hold zipper tape in place as previously done on the other side. Close zipper to check that everything is in place. 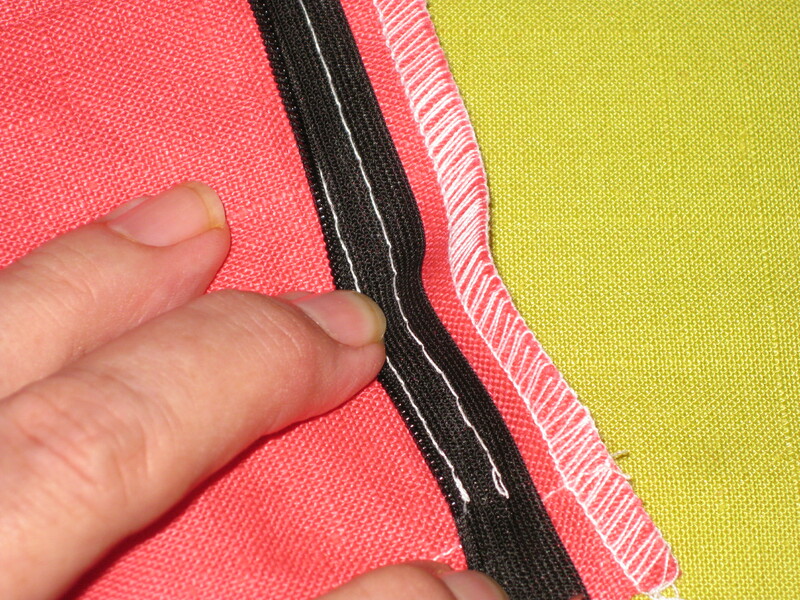 It is easy to remove the basting and reposition the zipper if necessary. 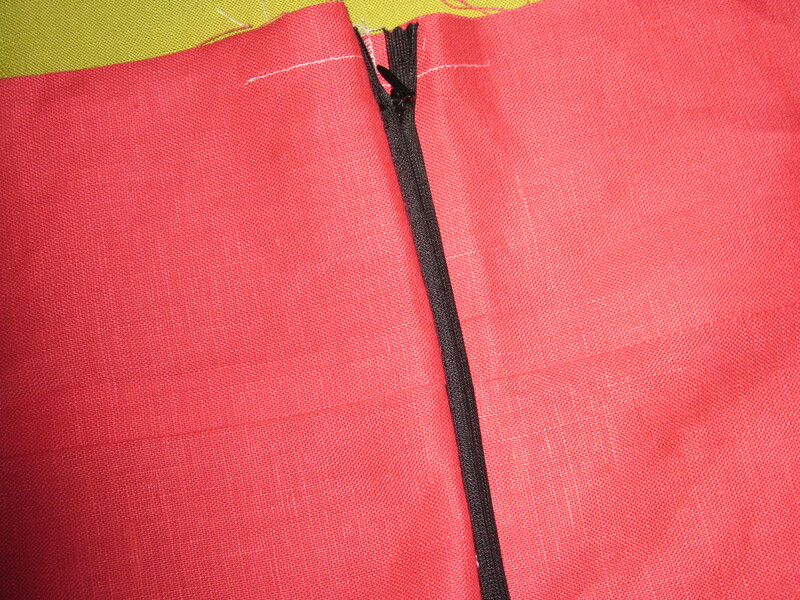 Close zipper and check position of seam. Invisible zipper feet have two grooves under the foot and a small prong at the front. When sewing the left hand side of the zipper, place teeth in the left groove and for the right hand side, use the right groove. 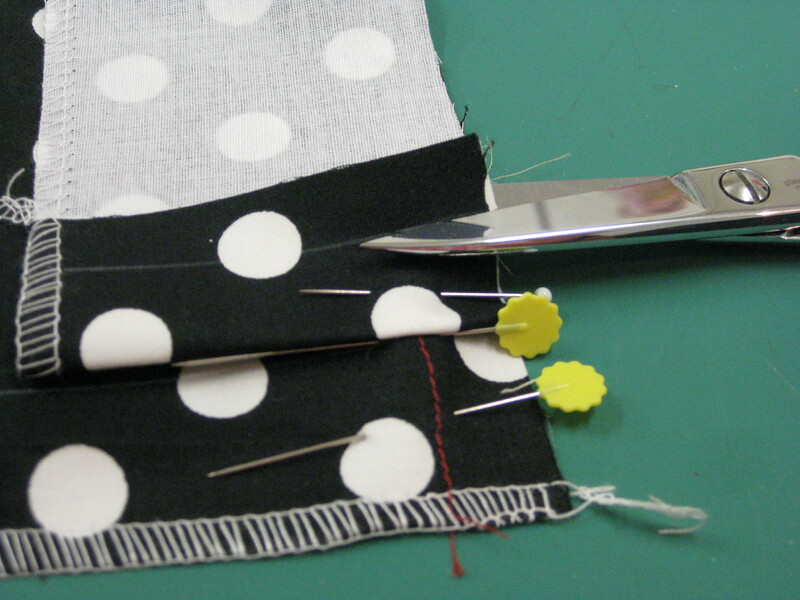 Unless your fabric is very thick, it is not usually necessary to move the needle from the centre position. Invisible zipper foot from top and under side – note the grooves. Make sure when stitching permanently in place, the machine stitching is close to the coil or zipper will show but, be careful not to stitch too close which would make zipper difficult to open and close. The distance away from the coil will depend on the thickness or loft of the fabric. The stitching should begin right beside the top of the plastic stopper at the top of the zipper tape. If the stitching starts at the top of the tape, the tapes will be sewn into the seam allowance and when the facings are applied there will be an unattractive thick lump in the seam. 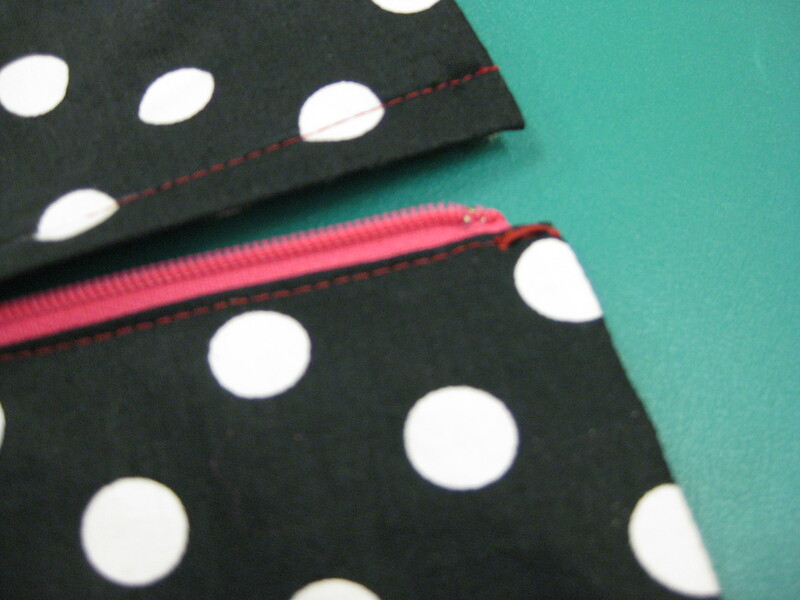 Before starting the permanent stitching, be sure to lower the zipper pull to its lowest point. With the zipper open, position invisible zipper foot at the top of the zipper with coil under the left-hand groove of the zipper and stitch through the tape and seam allowance down to the zipper pull – backstitch. Position teeth inside groove – left hand side in left groove and right hand side in right groove. Sew from top down. 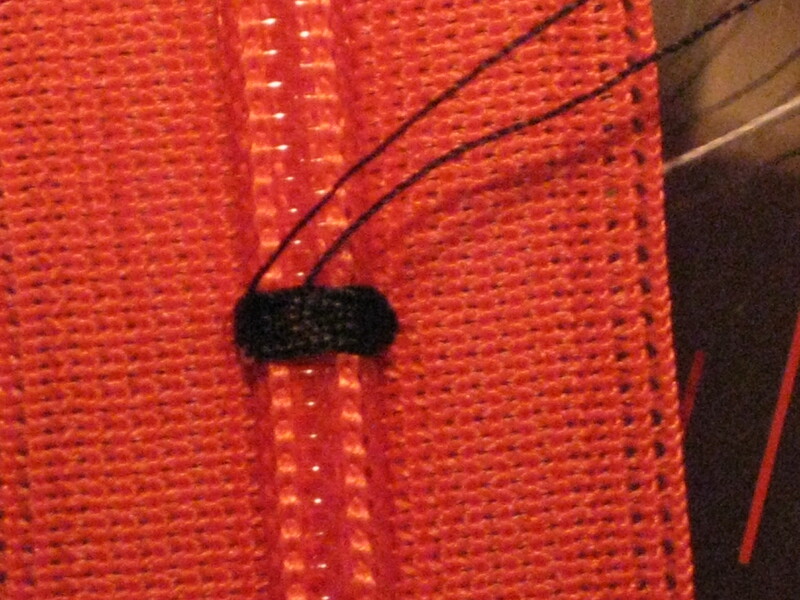 Stitching should be close to the zipper teeth. Move needle a little further from the teeth if fabric is thicker. Close the zipper and turn to wrong side of garment piece. Usually I have seen instructions to sew from the exact place that the stitching finishes when closing the remainder of the seam. However, this does not allow the fabric to roll as it does along the length of the zipper and often leaves a small gap revealing the zipper teeth. To avoid this, I use a technique I learned from Claire Shaeffer’s “High Fashion Sewing Secrets which gives an excellent result, making it difficult to see where the zipper ends on the face side of the garment. 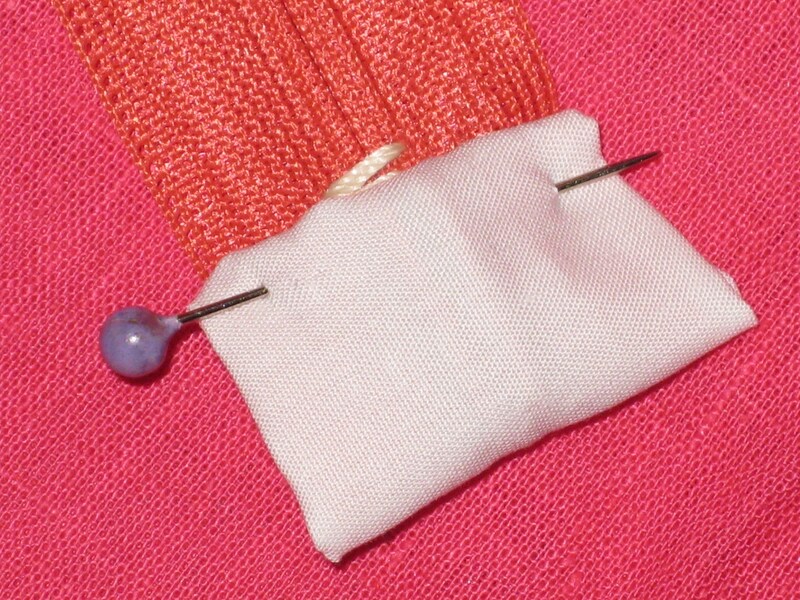 Place a pin beside the zipper stitching approximately ¼” /6mm above the end of the stitching. 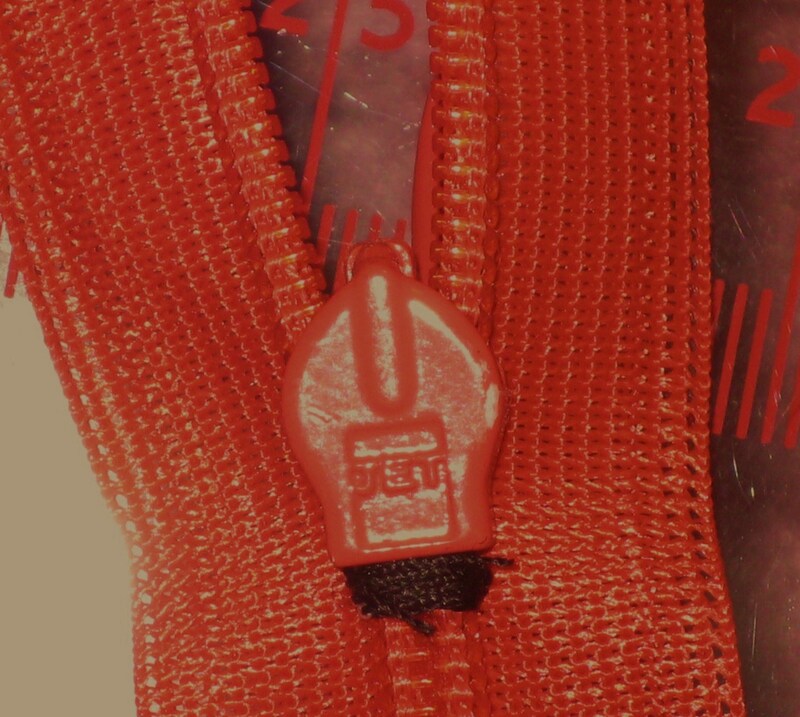 Using regular zipper foot to the left, bed the needle in the point marked by the pin; remove the pin and lower the presser foot. 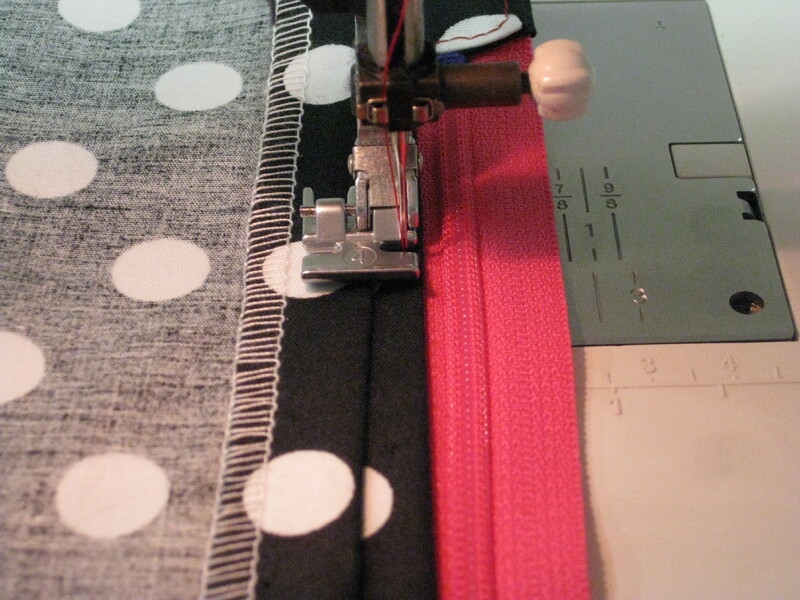 Stitch the seam, beginning just above the end of the zipper stitching for a distance of about 3mm – hold the ends of the zipper to the right for a smooth seam. 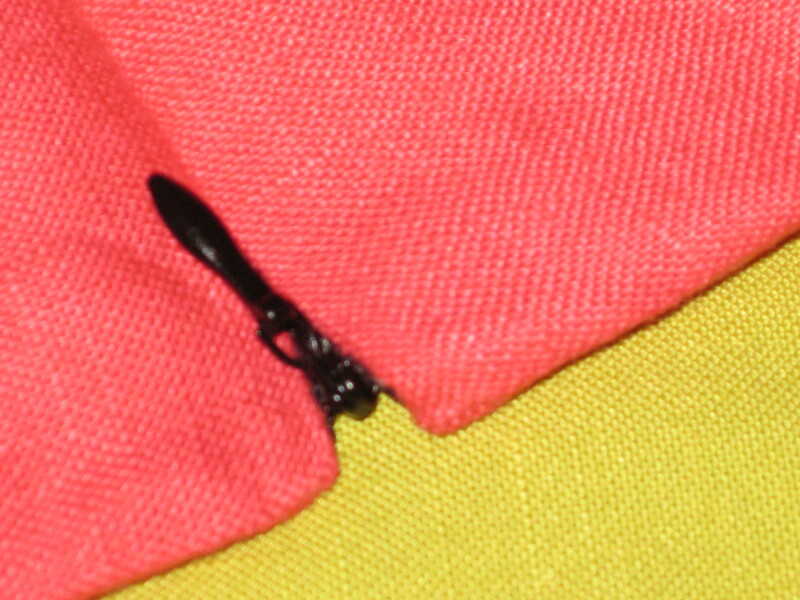 From the right side, the end of the zipper is difficult to detect. 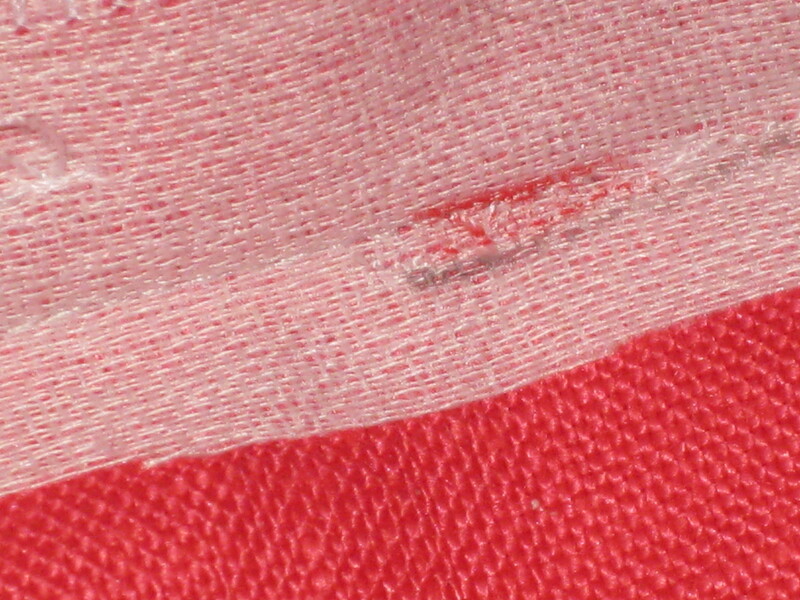 Red mark indicates the bottom of zipper stitching. 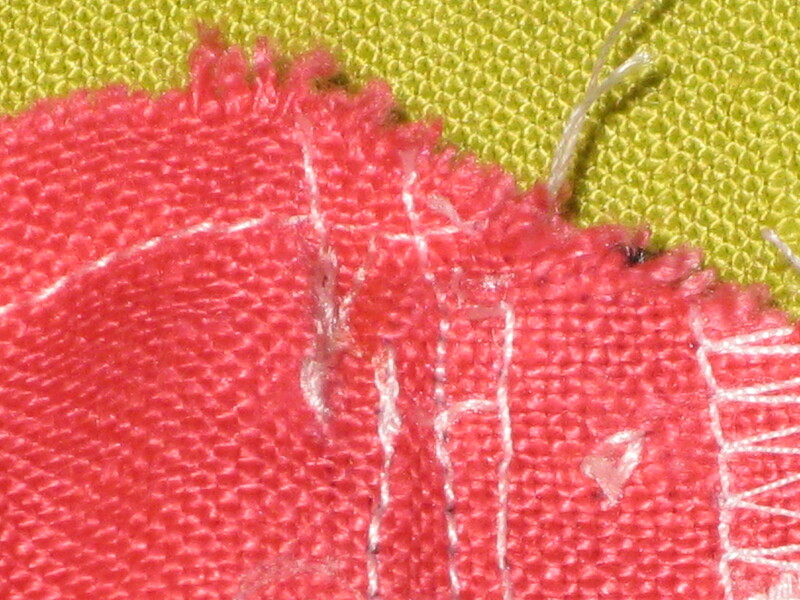 Grey mark indicates start of stitching to close remaining seam. 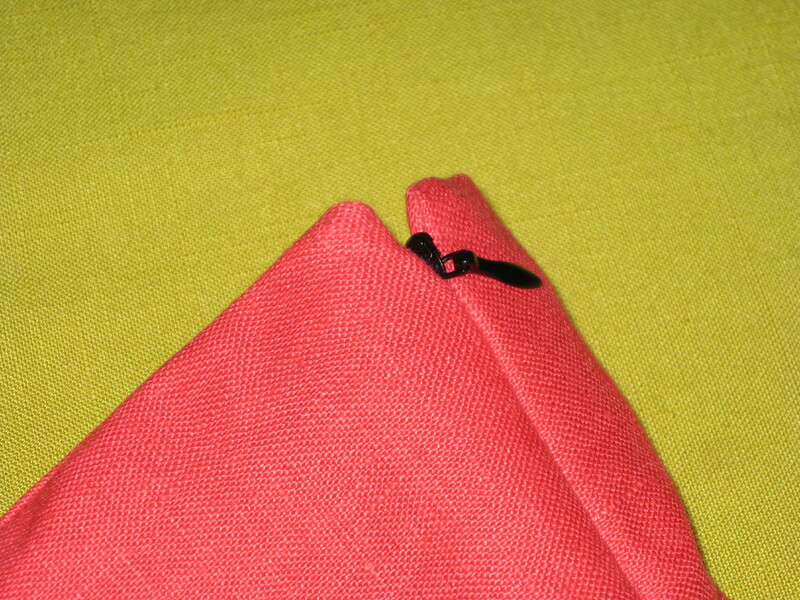 Stitch remaining garment seam (direction should be hem towards neckline/waist). 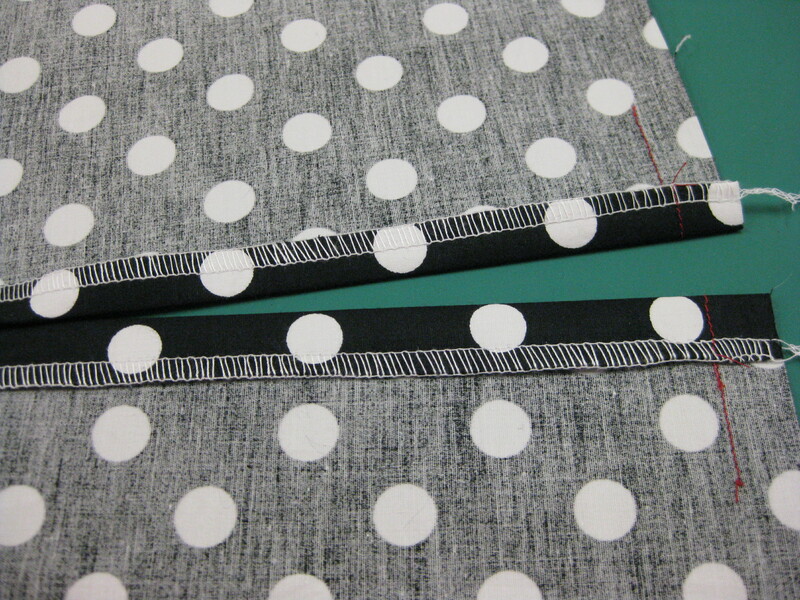 Stitch tapes of zipper to seam allowance so they will not flap up. Stitch ends of tapes to seam allowances so they will not flap up. 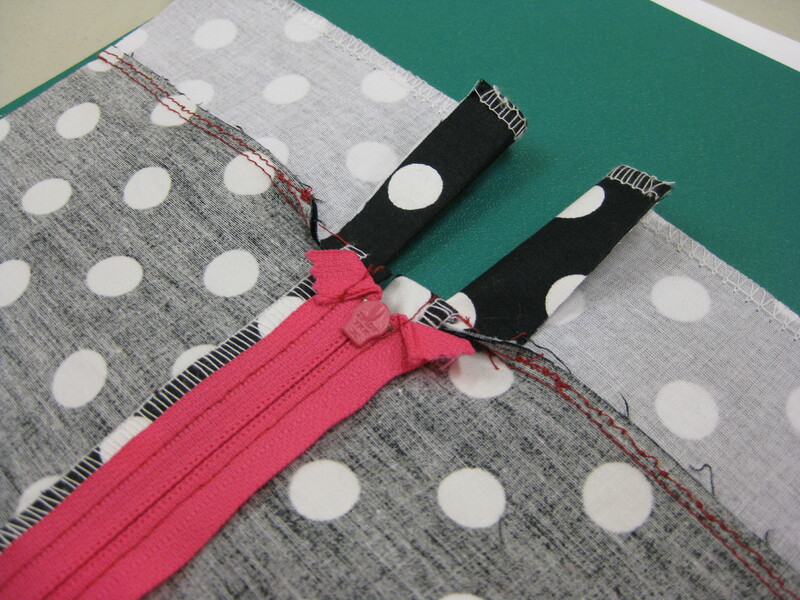 Fold down the tapes at the top of the zipper and stitch them in place by hand. 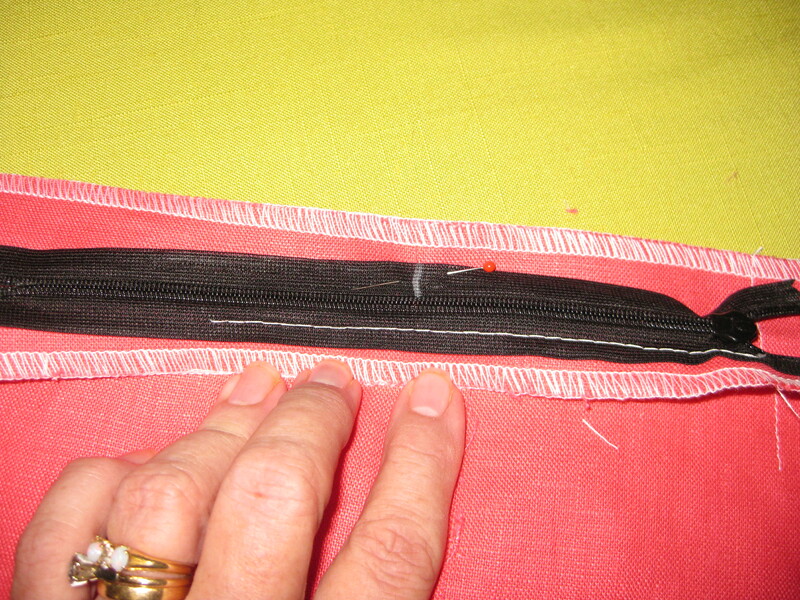 With an invisible zipper, facings can be applied after the zipper has been inserted. Stitch the facings in place right to the cut edge at the centre back. 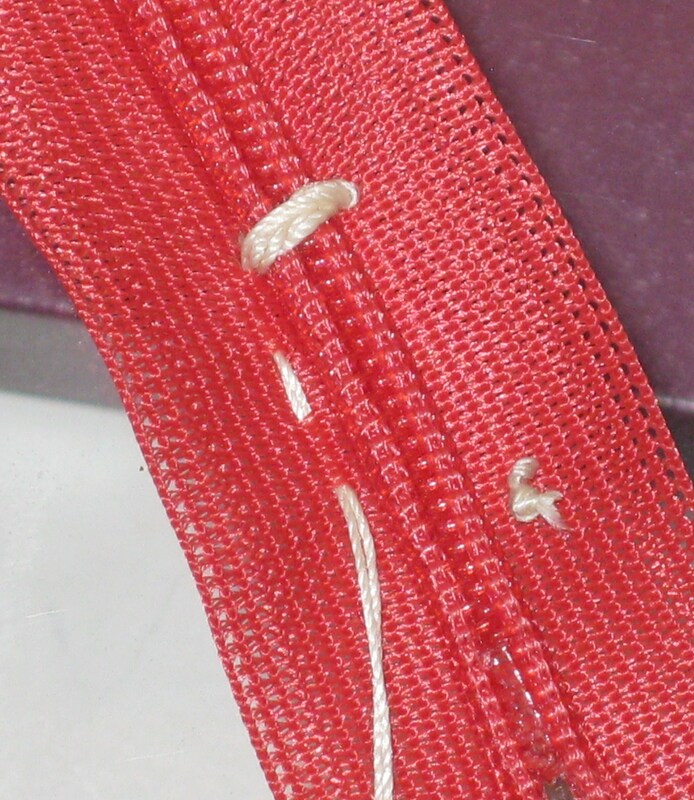 Facing stitched to the edge – zipper tapes are not caught in the seam. Trim seam allowance and understitch the facing, stopping about 5cm/2” from the edges. 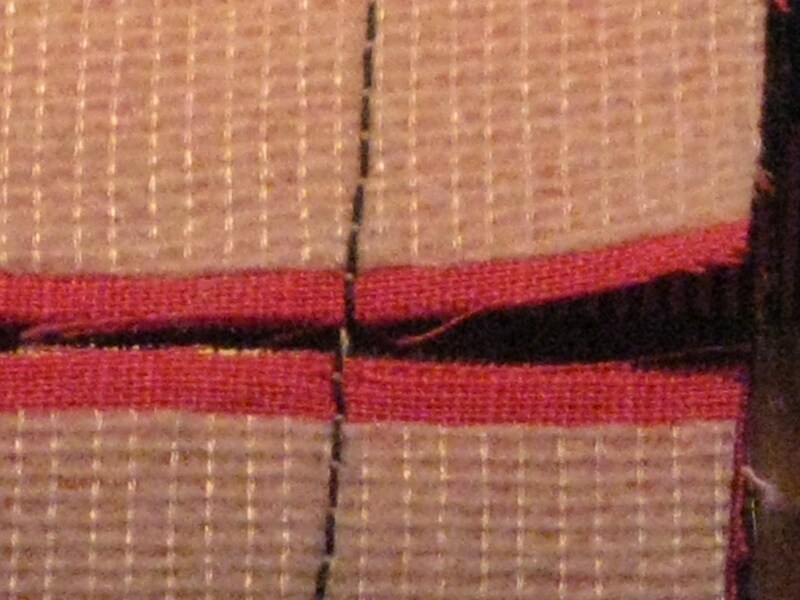 Place facing over the zipper and stitch beside the zipper teeth. Attach zipper foot and stitch from the facing seam line along the inside of the seam allowance and close to the zipper teeth. I have always been disappointed with the top of the zipper stops showing. 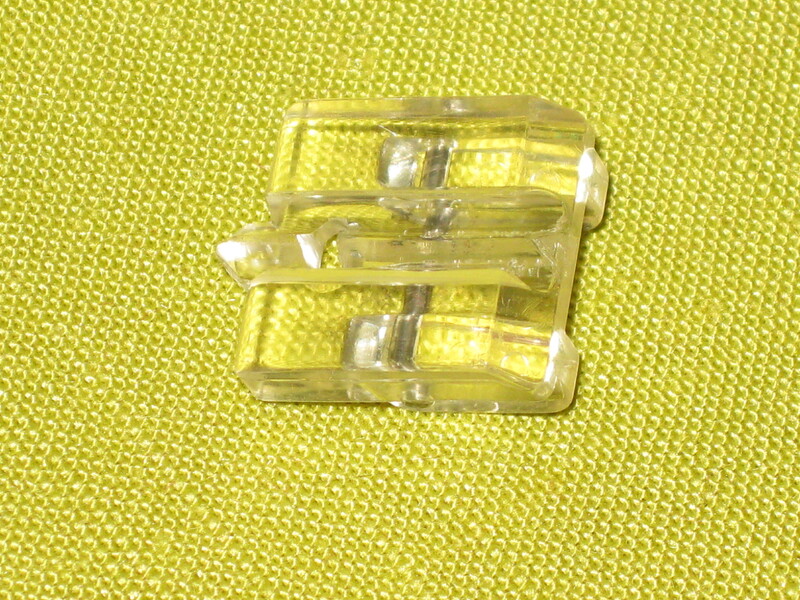 The edges of the zipper stop remain visible above the pull – a little disappointing. To make a neater finish have come up with the following method. Once the facing has been stitched to the zipper tape and before turning the facing through, I make a small pocket on the garment side of the pull which will hide the plastic zipper stop. 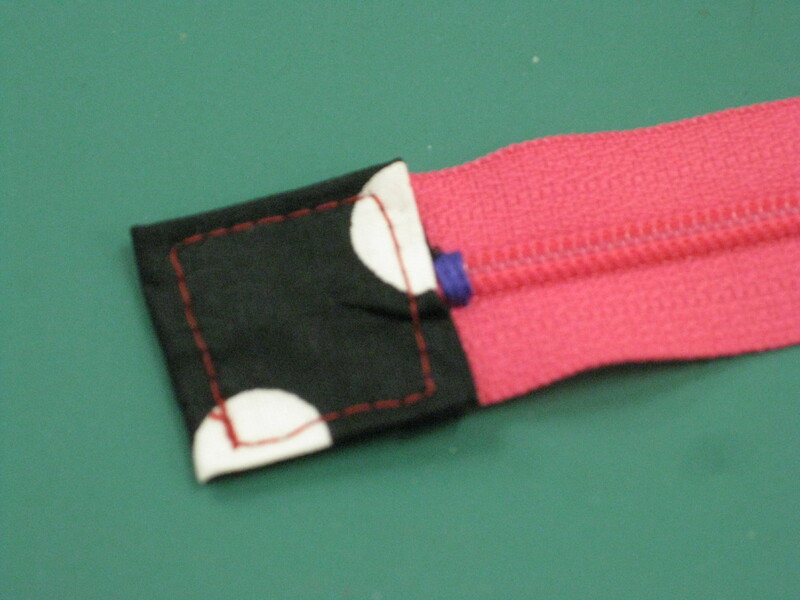 Stitch from just above the facing seam line to level with the bottom or the plastic zipper stop. Stitching on the left is forming the pocket. 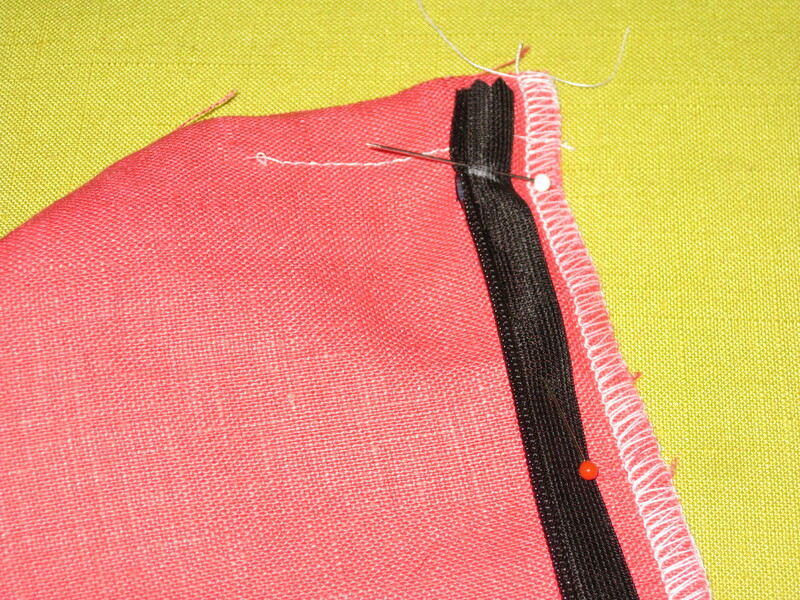 Next stitching is attaching the zipper followed by stitching which attaches the facing and initial basting. Clip the corner and turn through. The zipper stops are hidden inside the pocket resulting in a much more polished finish. Add a hook and eye and the installation of the zipper is complete. 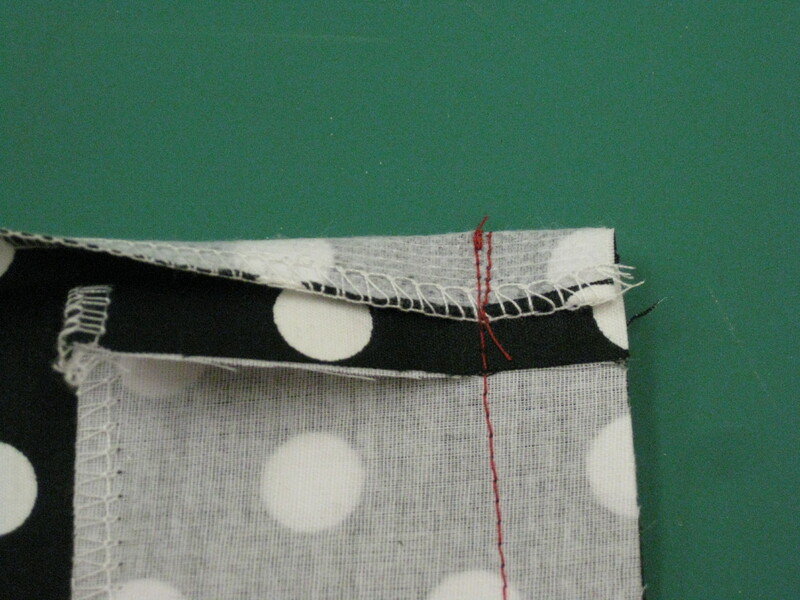 Add hook and eye and hand stitch the bottom of the facing to the seam allowance. As you can see, adding this last step means that your zipper opening features a soft roll of fabric covering the teeth along the whole length of the zipper. I hope you will give this method a try and let me know what you think. Next week I will cover the insertion of a fly zipper. 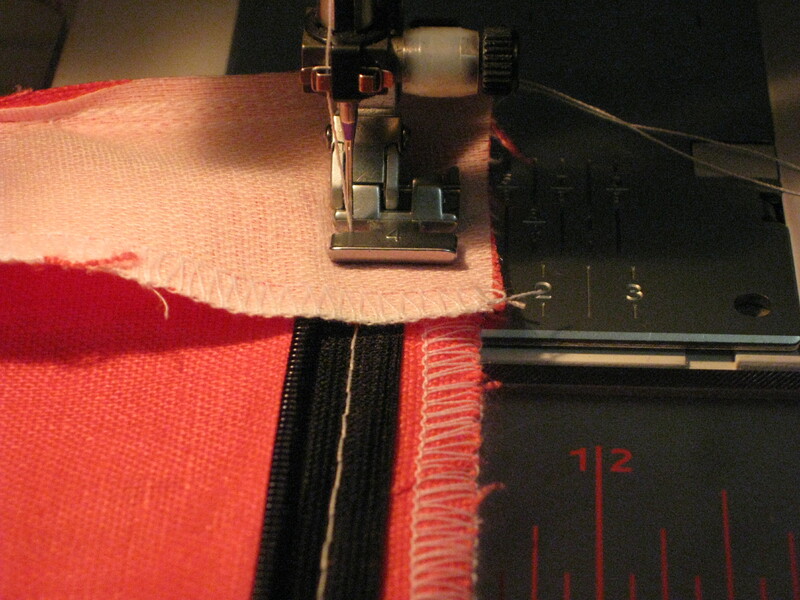 In this post, I am sharing the method I use when installing a lapped zipper application by machine. 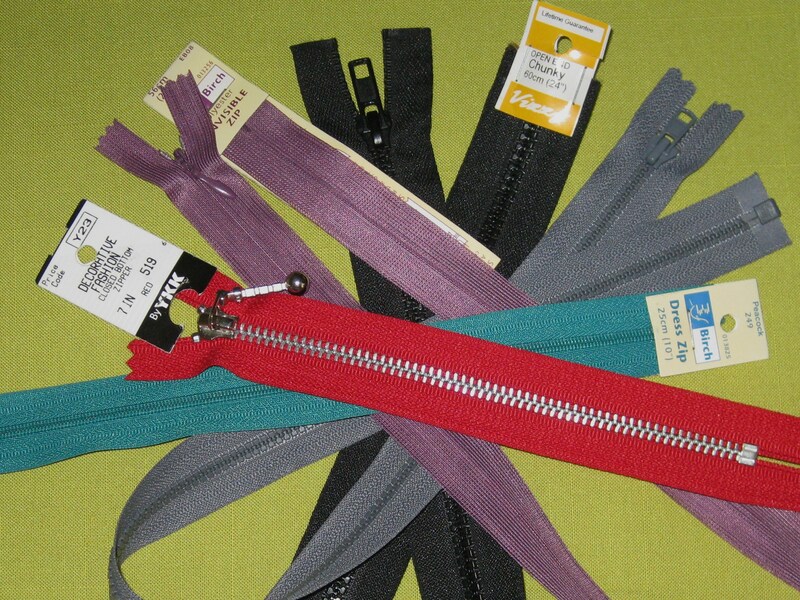 A lapped zipper is well suited to garments which will be worn often (especially if sitting all day or getting in and out of the car all day) or which are made in a thicker fabric. They are stronger than an invisible zipper and therefore less likely to fail. The average length of a lapped zipper opening in a skirt is 18-20 cm (7-8”); in the centre back of a dress 50-55cm (20-24”) and in pants 20-23cm (8-9”). Of course these lengths may change depending on the proportions and personal preference of the wearer. Unless you are intending to sew authentic jeans/jeans skirt or use the zipper as a decorative feature, use a dress zip (nylon tapes and teeth) for this application. This will eliminate some of the bulk caused by using a front zip over the tummy. Side zips in dresses are not common in today’s patterns (except for reproduced vintage styles) but are often useful in strapless styles or where the pattern of the fabric looks better if it is unbroken in the centre back, particularly in lace bodices. Side zips can be used in sleeveless or short sleeved garments as long as the neck opening will accommodate the head. A minimum neck opening of 55cm/23” is usually required (extra may be needed to accommodate your hair if wearing a fancy up do). 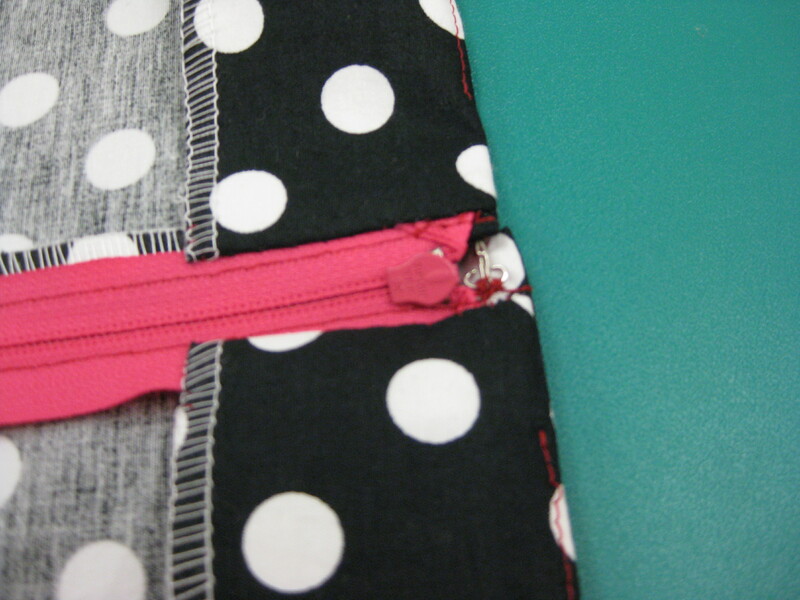 I use a wider seam allowance (23mm/1”) in the area of the zipper opening. This results in a flatter zipper application. 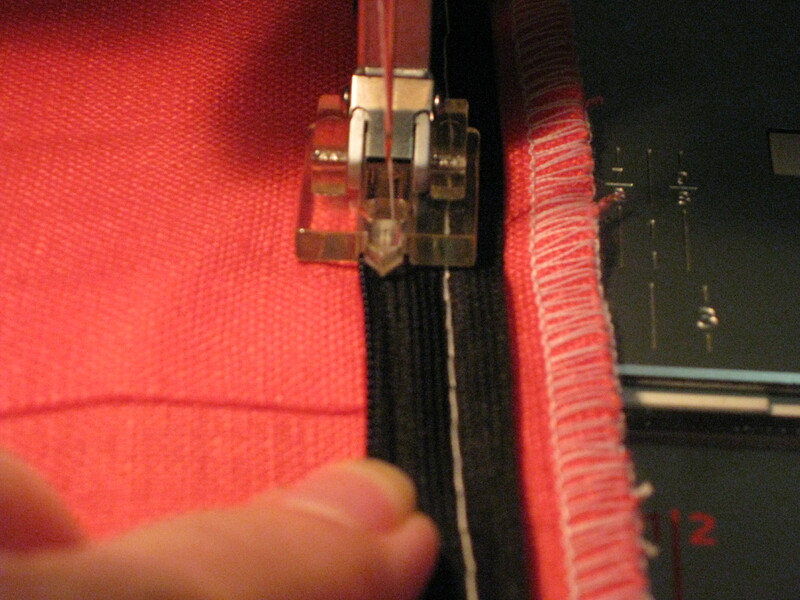 An important step in any zipper installation is stabilising the zipper opening before insertion. 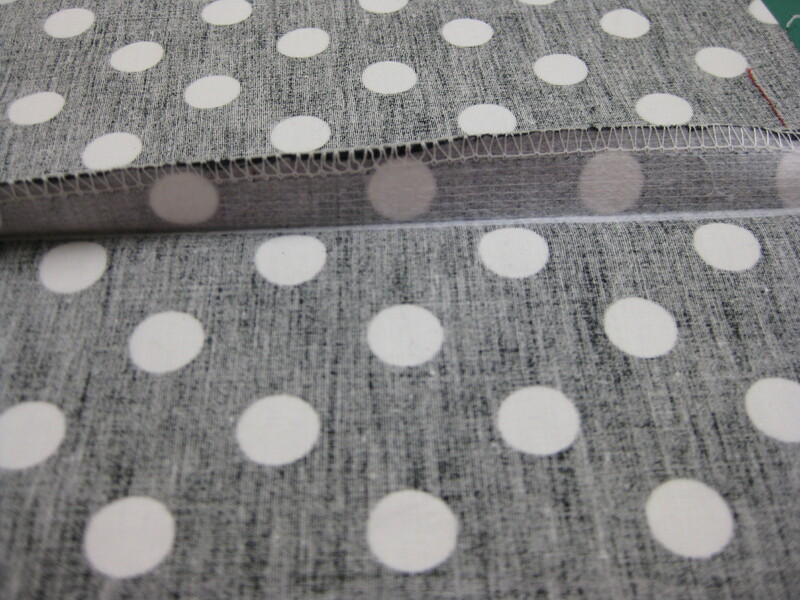 A 23mm/1” strip of fusible interfacing, cut with the strongest grain parallel to the seam, can be used. 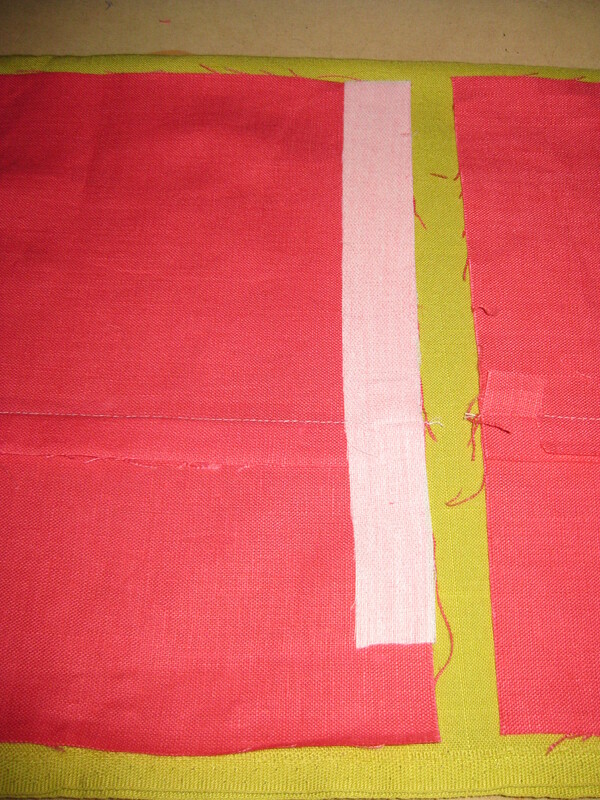 Photo 3 Depending on the fabric, it may be necessary to use a lengthwise cut strip of firm woven fabric or lining selvage instead of a fusible. I stitch the seam with the stitch length used for permanent seams up to the bottom of the zipper opening, being sure to backstitch at that point. The seam allowances are pressed flat and then open. I place the garment on the ironing surface with the wrong side of the garment facing upwards and the end of the zipper opening to the left and make a tiny fold (about 3mm/ 1/8”) in the seam allowance on the left hand side of the garment and press in place. Seam allowances pressed open full amount on RHS and 1cm/ 1/2″ on LHS. 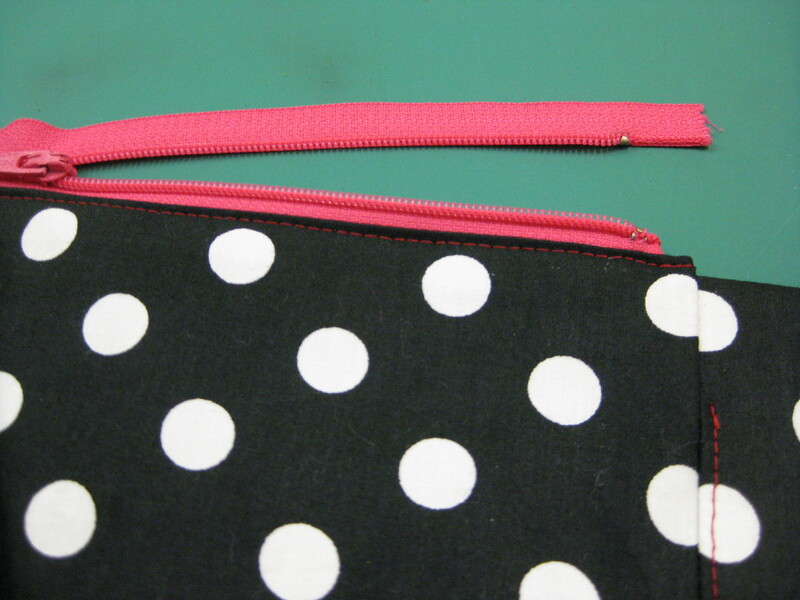 If necessary the zipper is shortened to the length of the opening plus 6mm/ 1/4″. 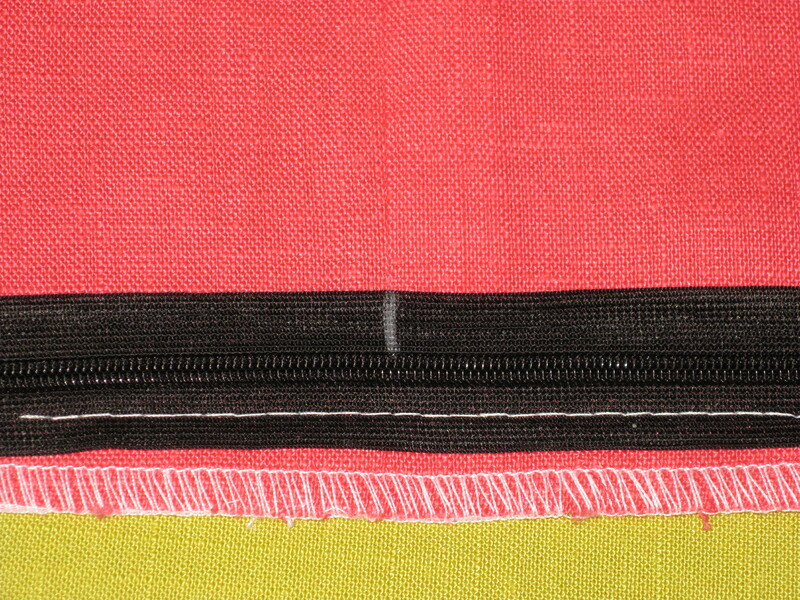 On left hand side, fold facing back by ½”/1cm – this is the depth of the stitching line for the zipper from the seam line. On right hand side, fold facing back flush with zipper seam line then fold back 3/8”/9mm towards right side of garment, over the folded facing. Stitch both sides of facing in place through all layers. 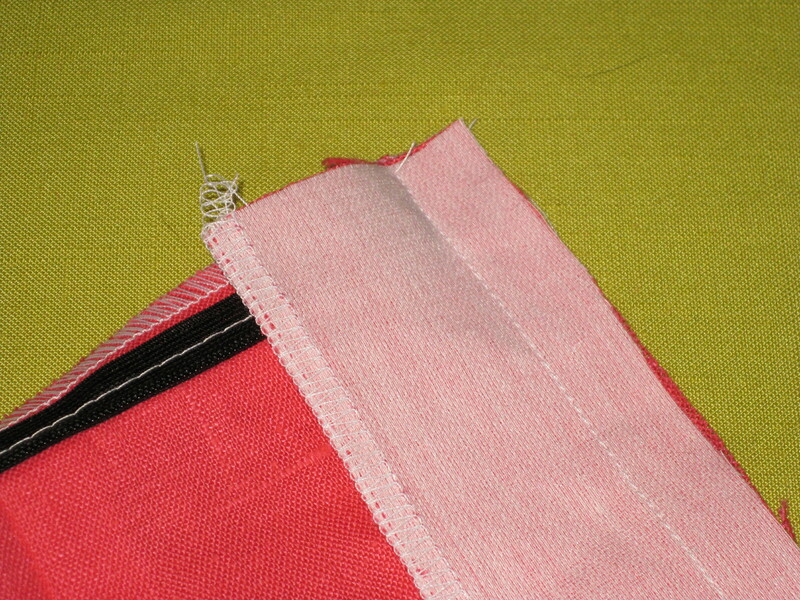 Trim the seam allowance before pressing and under stitching the facing. I position the left hand side of the zipper under the pressed fold slightly away from the teeth and the stop level with the bottom of the zipper opening and either pin or baste in place. 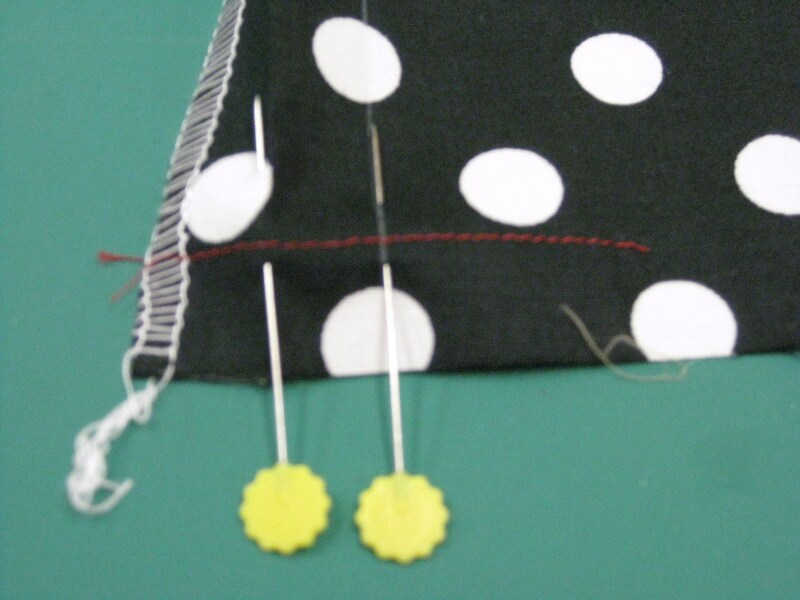 If the fabric is thick, the fold should be further away from the teeth to allow for the turn of the cloth and for the zipper pull to slide easily without catching the fabric. 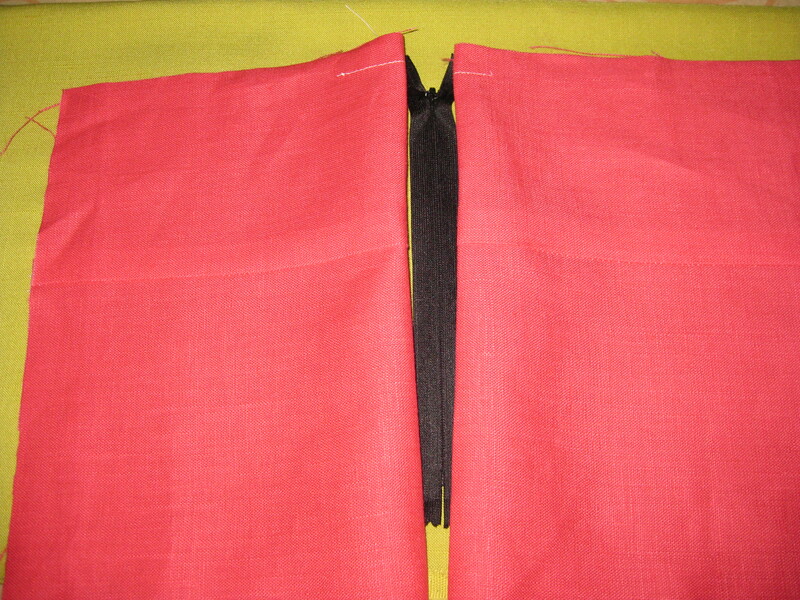 The stitch length should be adjusted according to the thickness of the fabric and zipper tape. 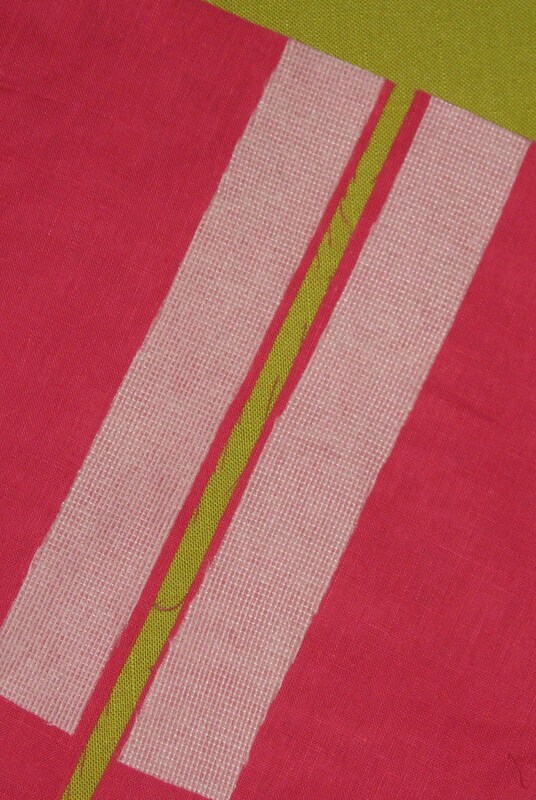 A longer stitch will be needed if the fabric is thick. Attach the zipper foot – a lot of today’s modern machines have a zipper foot with a single blade and it is intended that you attach the foot on either the left or right hand side of the needle. A good way to check whether it is positioned correctly, is to remember that the blade of the foot should never sit on top of the zipper teeth. 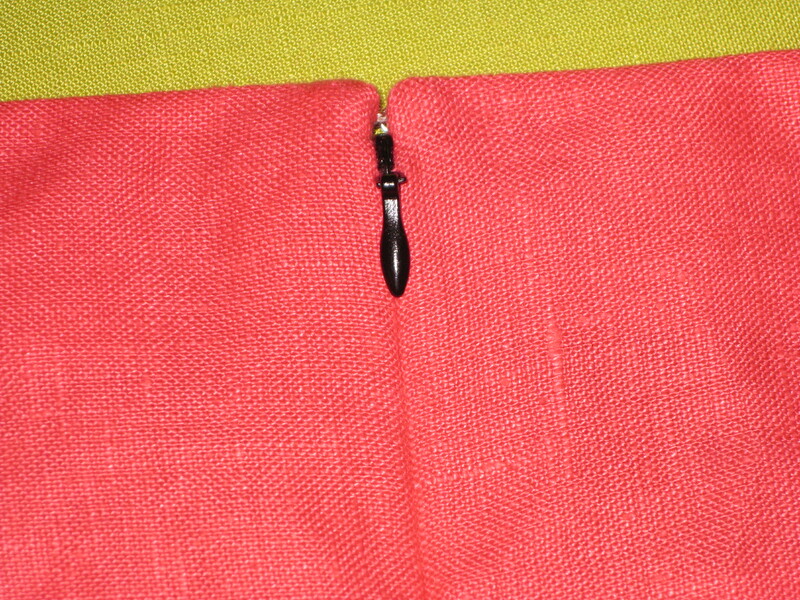 I position the garment and sink the needle into the fold, close to the edge of the zipper. Once it in position, I check how far the foot is from the zipper teeth and use this measurement as a guide for stitching. Lower the presser foot and stitch from the zipper stop and up to within 5cm/2” of the top end of the teeth– do not backstitch but pull threads to the underside and knot securely. Turn the garment right side up and place it on a flat surface. 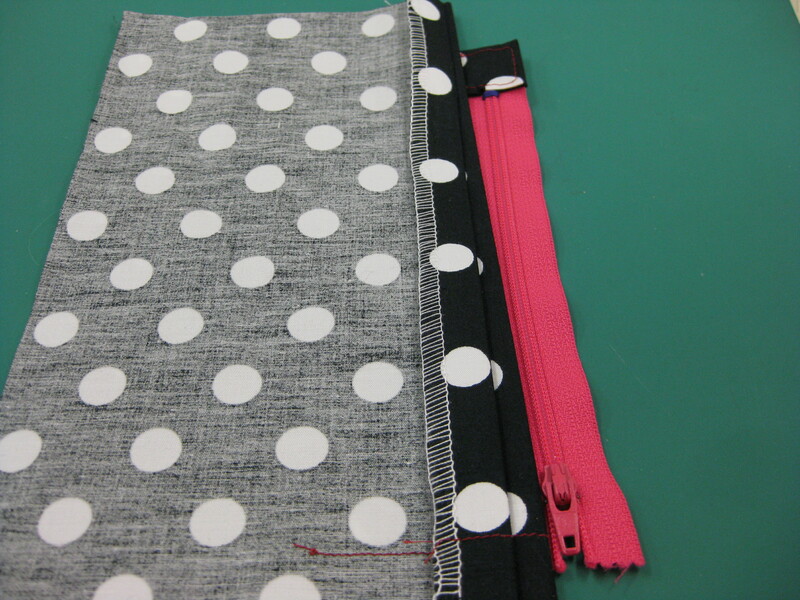 Pin the fabric on the right hand side of the garment and hand baste where the topstitching line will appear on the garment (usually at 1cm/ ½” from the seam line). Turn the garment over and check that nothing is caught underneath before stitching. Personal preference will dictate whether the stitching at the bottom of the zip is placed at right angles or diagonally from the seam line. Regardless of the direction of these stitches, do not backstitch. 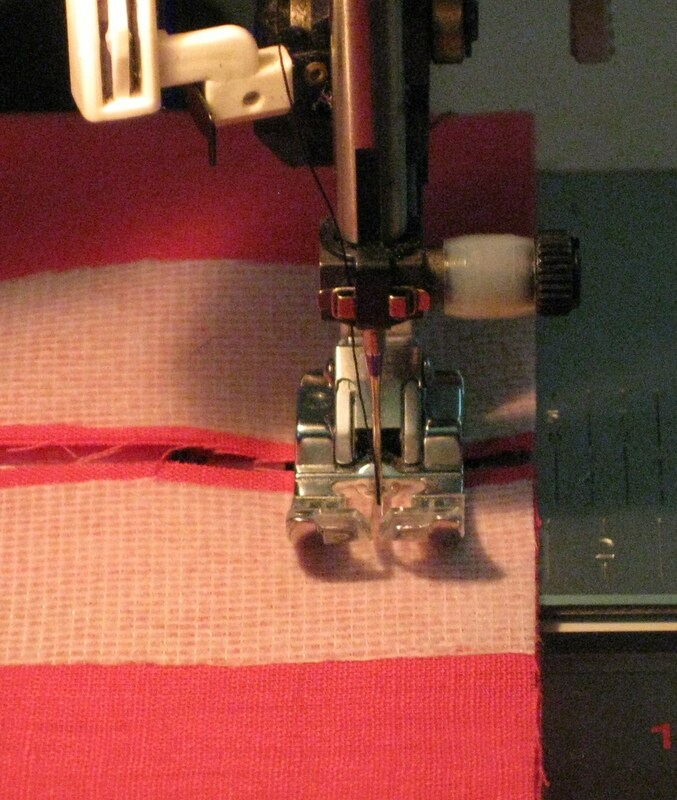 Simply sink the machine needle into the sewn seam line and set your stitches to a length of 0.5. Stitch a few stitches and change to the regular stitch length. 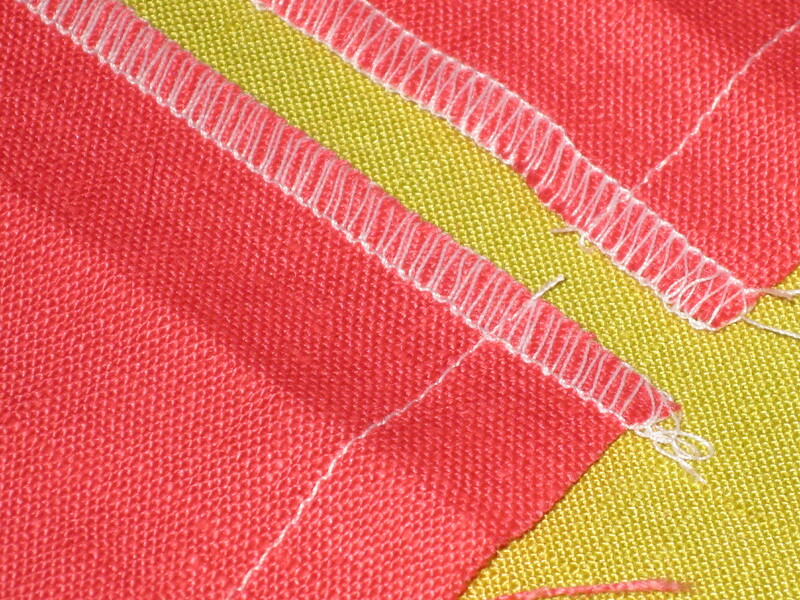 Hand wind the stitches so they end precisely at the topstitching line for the zipper. 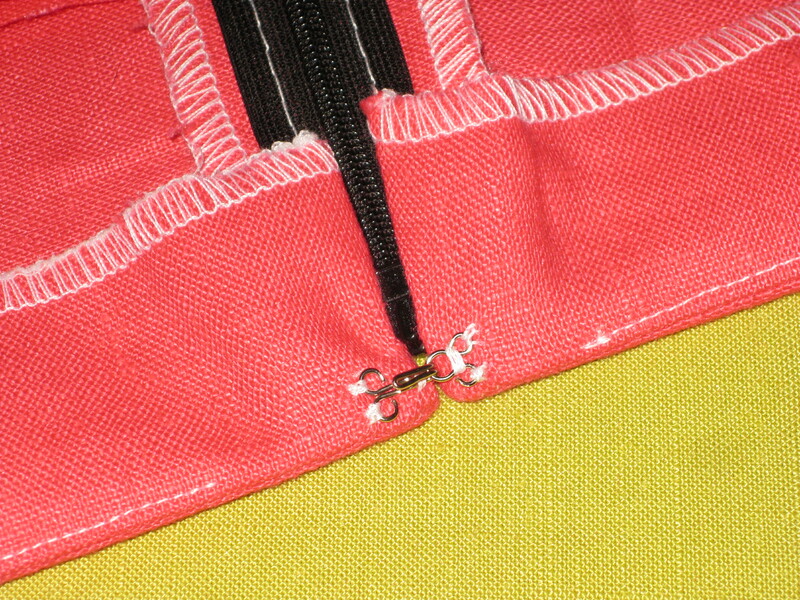 Pivot and continue stitching parallel to the zipper up to the top of the opening. 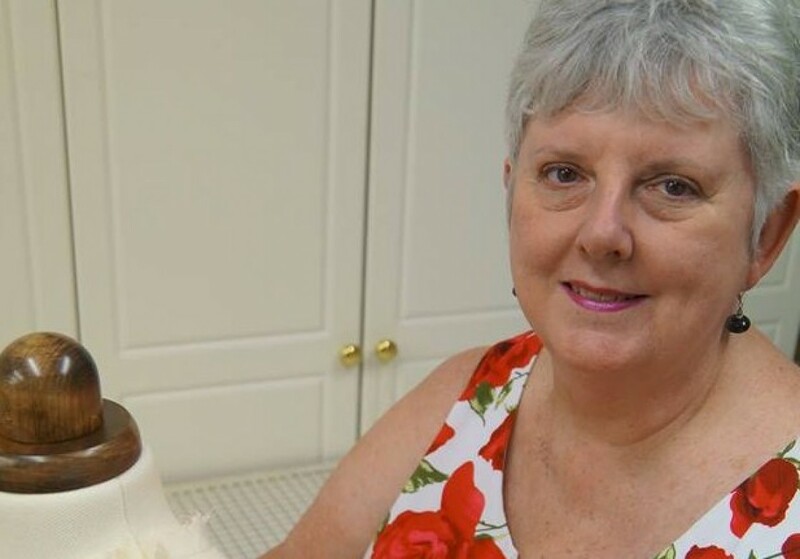 After zip is set, I steam press to remove any creases or wrinkles – if fabric is inclined to mark easily, I apply steam only (no iron) and then press gently with my hands – placing garment over a seam roll or tailor’s ham. 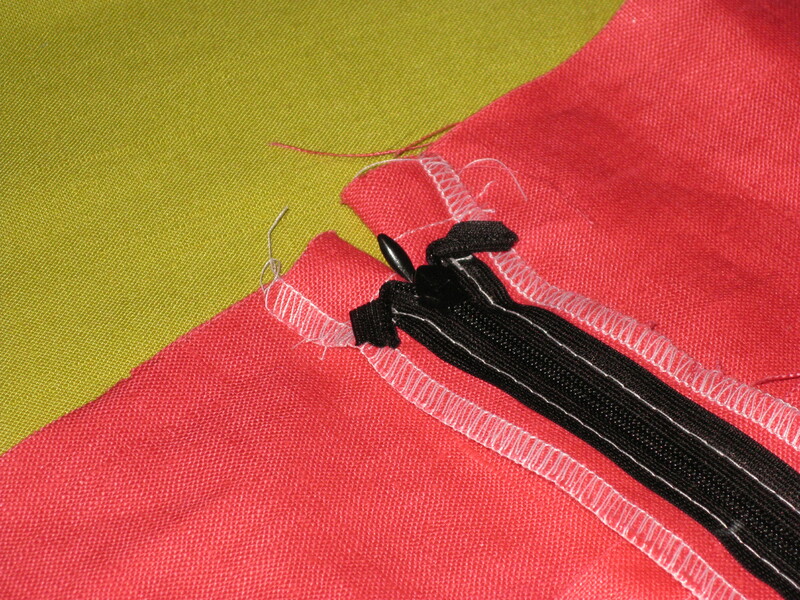 The facings are turned to the inside and handstitched to the zipper tape on either side before applying hook and eye. 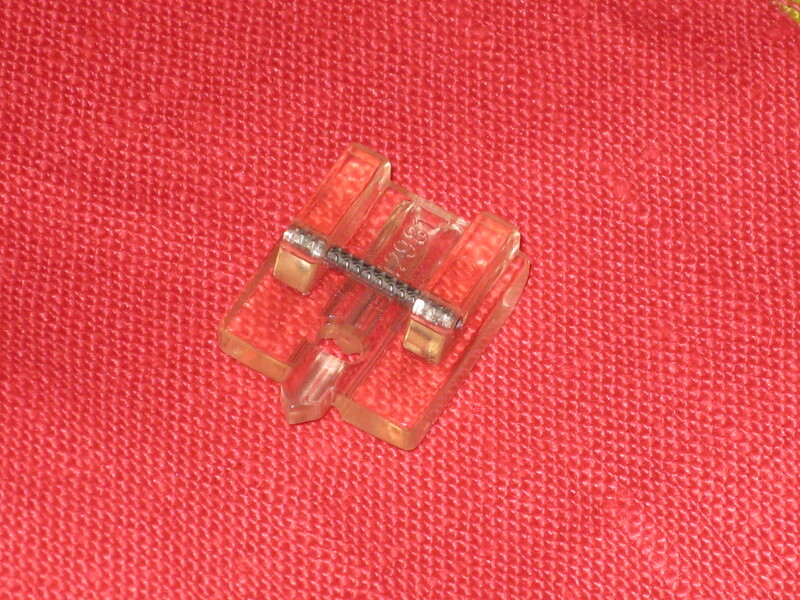 Thread bar on underside; hook on upper side. Finished top of garment – no bulk. I hope you find this helpful and next week, I will talk about setting in invisible zippers. 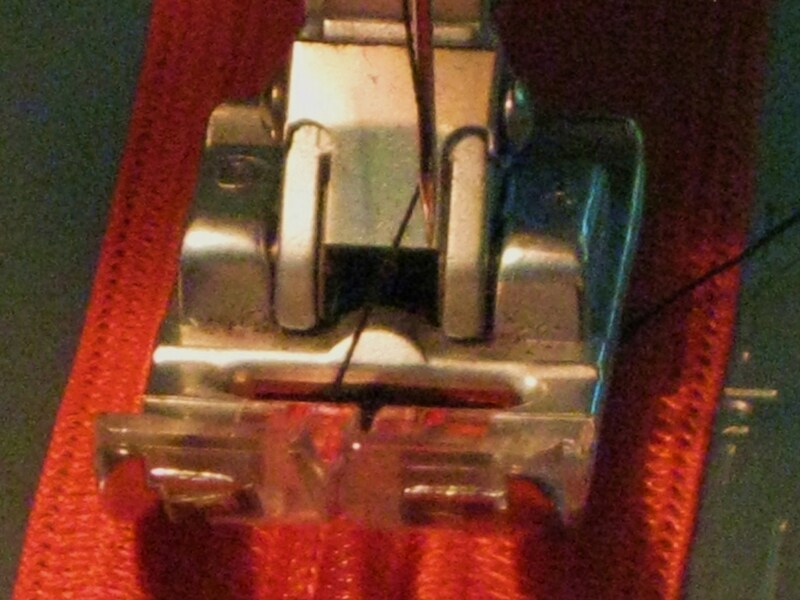 One of the techniques which I often find causes a lot of angst for students is inserting zippers. As with lots of other sewing techniques, there are numerous ways to insert a zipper and I am sharing the methods that I have found give consistently good results in various situations. There will always be exceptions and these will be covered in future posts. Wherever possible, inserting a zipper into the garment while the sections are flat and before it is fully assembled will make the process easier. 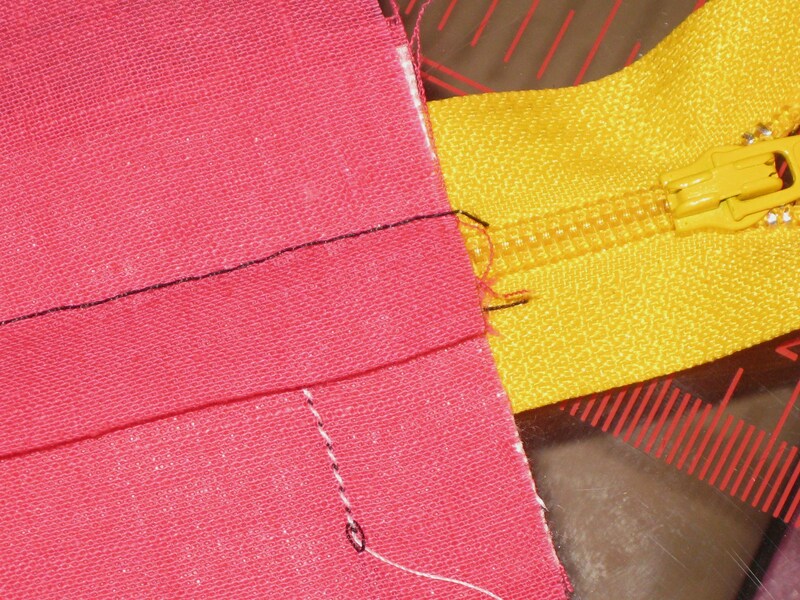 In this post, I will cover some general things to consider when choosing a zipper and preparing to insert it into the garment. If using an open ended zipper, try to purchase a zip the exact length required (up to 2cm tolerance) as they are not easily shortened. If this is not possible, it will be necessary to modify the garment. To avoid a “home-made” look, use below the waist zippers that are 20cm long or shorter, unless you are very tall – the exception being the use of a zipper as a feature on the face side of the garment. Fold top of tapes back below level of seam line and stitch in place. 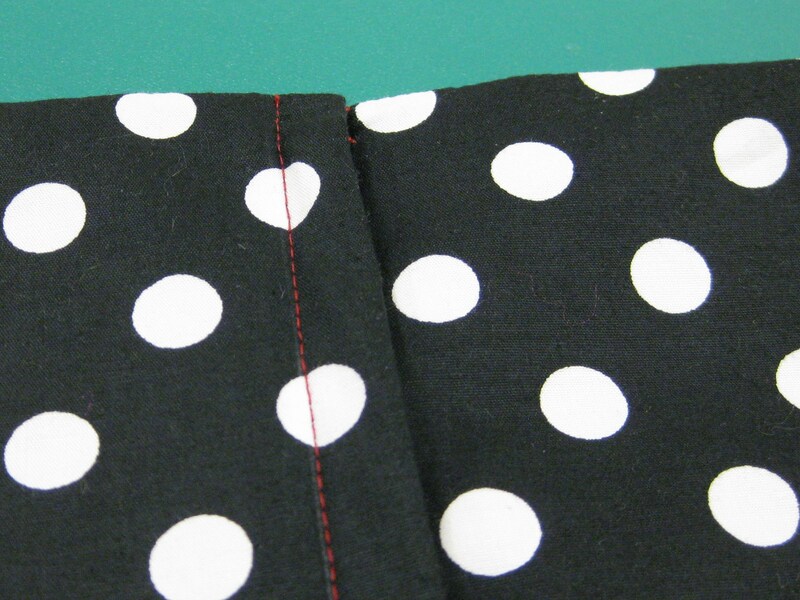 Keeping cut edges even, stitch just inside the seam allowance across both garment pieces. 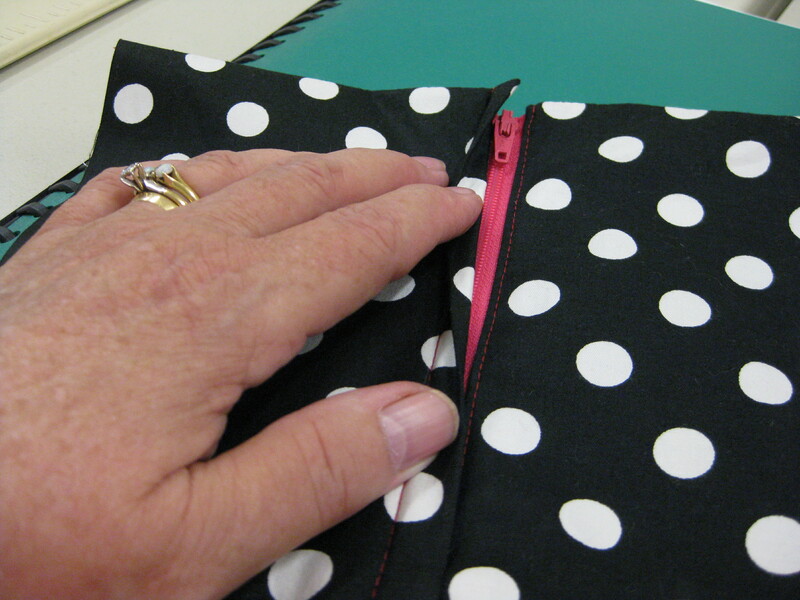 Next week, I will cover a lapped zipper application and how to deal with a facing at the top.